USC law professor Elyn Saks, author of the memoir The Center Cannot Hold: My Journey Through Madness (which I posted about last year, here), has won one of this year's prestigious MacArthur Foundation Fellowships--the so-called "genius" grants--that "celebrate and support exceptional men and women of all ages and in all fields who dream, explore, take risks, invent, and build in new and unexpected ways in the interest of shaping a better future for us all." Disability Studies, Temple U. lectures beginning Fall 2009 will be available to our readers through the Insitute on Disabilities website. Allison Carey's September 9 lecture, the first of the the semester, is now available in print and audio formats - enjoy! Since this is a new effort of the Institute, we certainly appreciate your patience as we post them after the lecture. And we welcome your feedback and further suggestions. different from what? Film Festival will hold its premiere at the MADCAP Theaters in Tempe, AZ, during January 29-31, 2010. The Festival will feature productions that display a wide breadth of perspectives on disability as a life experience, an identity, and a social and political construct. The Festival is a student-led initiative organized in collaboration with the Equity Alliance at Arizona State University, an organization providing services that support learning around equity, access, and participation. Compensation: Prizes will be awarded for winners in student competition. The State Library of New South Wales recently posted some photos to their "opera" set on Flickr that have relevance to disability history. Above, a portrait of Marjorie Lawrence (1907-1979), taken sometime in the 1930s. She was a noted Australian performer of Wagner heroines (as you can probably imagine from the long blonde tresses and studded headgear here). In 1941, Lawrence contracted polio. Eighteen months later, after treatment with Sister Elizabeth Kenny, she returned to the stage. Lawrence generally performed in a seated or reclining position thereafter, with creative staging that incorporated her stance into the visuals. The photo below (from the National Portrait Gallery in Canberra) is from a performance by Marjorie Lawrence after polio, a year before her retirement in 1952. She taught after that date, until her death in 1979. 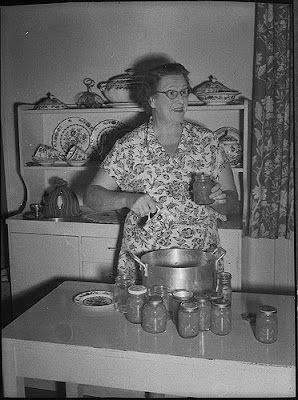 Florence Austral's photo (right; she's shown making marmalade in 1953, for some reason) has also recently appeared in the same flickrstream. 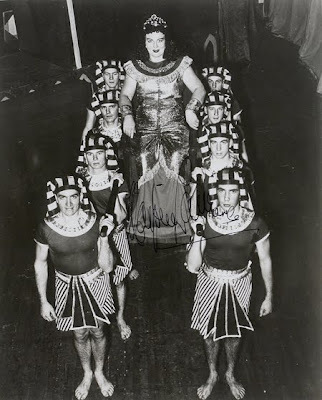 Austral (1892-1968) was another Australian soprano who specialized in Wagnerian roles. She was very well known and had toured much of the world with her work when she began to experience the symptoms of multiple sclerosis (MS) in 1930. She continued to perform, moving gradually away from operas and into concerts and recitals, before her retirement in 1940. She, too, taught singing after she stopped performing, in Austral's case at the Newcastle Conservatorium from 1954-1959. Austral died in 1968. Did Austral and Lawrence known one another? Did they compare notes on their efforts to maintain a performing career through the realities of a diagnosis that's both public and significant? I don't know enough about opera history or Australian women's history to know the answer. But maybe there's an article in this, for someone who can follow up. 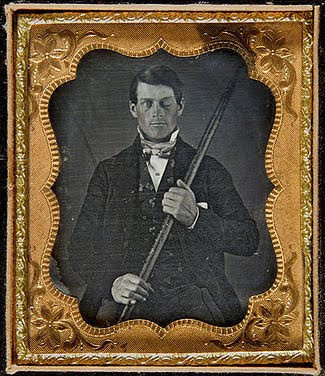 On this date in 1848, a 25-year-old railroad worker named Phineas Gage was injured in an accident on the job, outside Cavendish, Vermont. An iron rod that was about three-and-a-half feet long and a little more than thirteen pounds in weight was driven through Gage's head in an explosion. It went up through his cheek and out the top of his head. Gage survived both the accident and the treatment he received for his injuries. He died almost twelve years later, age 36, in California. Those are the bare facts. But the legends surrounding Phineas Gage are more elaborate. Maybe you ran into the name in a freshman psych class, or on a television hospital drama. Maybe it was accompanied by the explanation that the survival of Gage encouraged the development of neurosurgery as a discipline, or maybe you heard that his demeanor changed so dramatically after the accident that it revolutionized thinking about the organic basis of personality. In investigating reports on diseases and injuries of the brain, I am constantly amazed at the inexactitude and distortion to which they are subject by men who have some pet theory to support. The facts suffer so frightfully. Heard about this poster this morning. The television show LOST has an eighteen-hour final season starting in January, so to keep fan interest stoked, ABC has returned to the show's elaborate online publicity/ARG universe with a series of sixteen commissioned posters. This one, by designer Olly Moss, is apparently already sold out (it was a small run of 300 original screenprints). Interesting that the illustrator chose an empty wheelchair to represent Locke. The character Locke has only been seen using a wheelchair in two or three episodes, over five seasons. According to his backstory, he used a wheelchair for four years, after a dramatic fall injured his spine; his ability to walk is miraculously restored in the plane crash that starts the show's story. Only a few of the other characters know he ever used a wheelchair, and it's not a very frequent topic of dialogue. Locke has a wide array of experiences and traits that get more screentime, but it seems he's still "the former wheelchair user" above all, maybe because disability can be just that overwhelming an element of identity sometimes. That said, I do kinda like the retro look of this poster. It presents Locke as an edgy Steve McQueen-ish film hero, with "a suitcase full of knives"--and the wheelchair as part of his "dangerous" and "mysterious" complicated backstory--well, at least it's not pitiful. 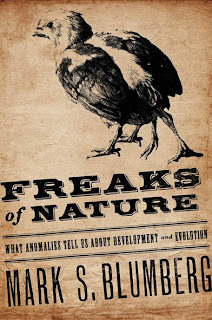 Mark Blumberg at Mutter Museum! Oftentimes, it takes as much, if not more, courage to speak out and oppose our government’s actions. It should be viewed no less patriotically than those who wave the American flag. Happy 85th birthday to Senator Daniel Inouye, who has served in the Senate continuously since 1959. Inouye is also one of the several disabled veterans serving in Congress. He was born to Japanese immigrant parents in Honolulu, and joined the Army in 1943; Japanese-Americans were prevented from enlisting before that year. In April 1945, his right forearm was amputated due to battlefield injuries in Italy. He met future colleague Bob Dole when both were recovering from their war injuries at an army hospital. Inouye abandoned plans for a medical career and used the GI Bill to study political science at the University of Hawaii at Manoa. 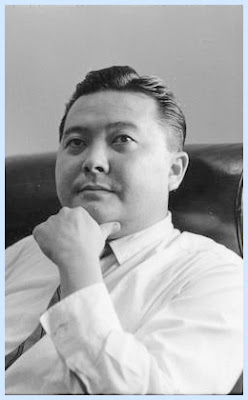 The day Hawaii became a state in 1959, Inouye was sworn in as its first senator.